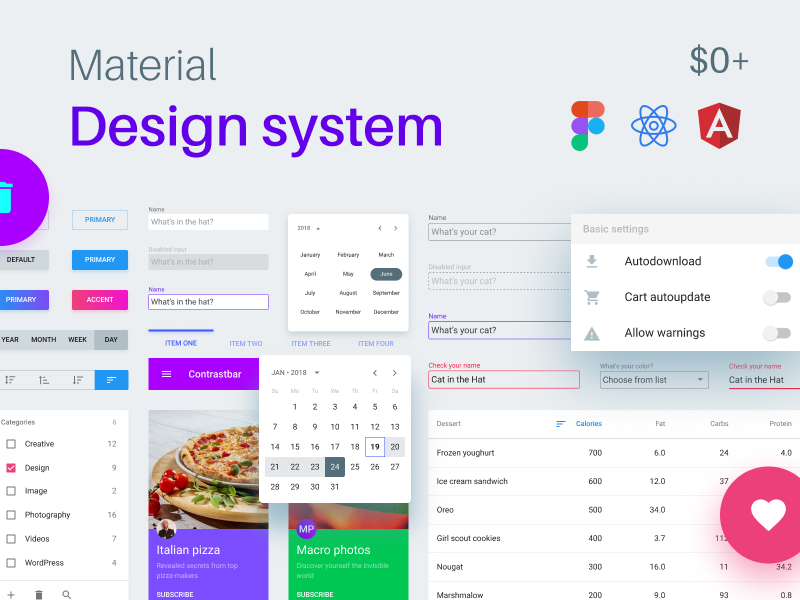 I spent my christmas holidays having fun building this components-based design system for React/Angular prototyping in Material Design environment. Overall it was a kind of challenge! This kit contains more than 240+ scalable and constrained elements, paginated and prepared to equip your team with library. Some custom components also included. For example, you could find Gradient- and Ghost- buttons besides default Raised / Accent buttons. Classic filled inputs, recolored navigation drawer, soft reflex shadows, as the example how customizable it is within symbol overrides. I appreciate your feedback to motivate me add more components in next update. Cheers!